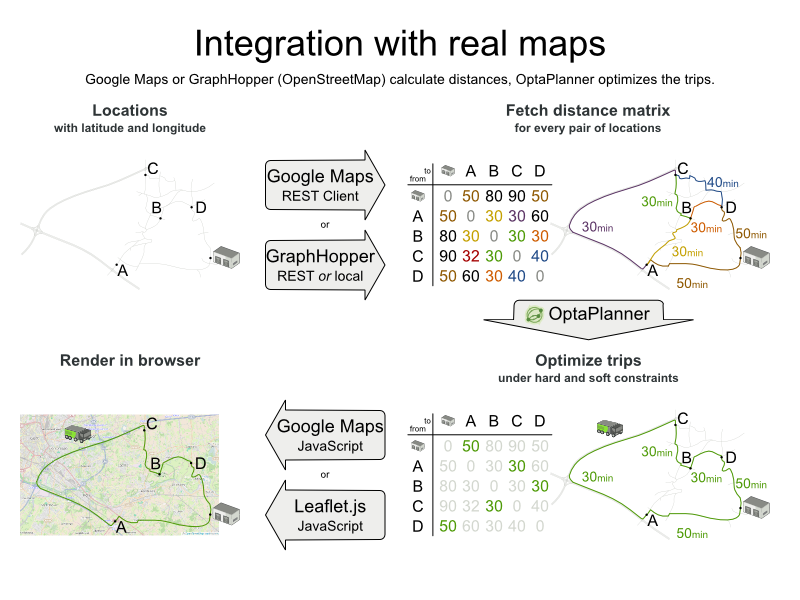 OptaPlanner is the leading Open Source Java™ constraint solver to optimize the Vehicle Routing Problem, the Traveling Salesman Problem and similar use cases. It covers any type of fleet scheduling, such as routing of airplanes, trucks, buses, taxi’s, bicycles and ships, regardless if the vehicles are transporting products or passengers or if the drivers are delivering services. 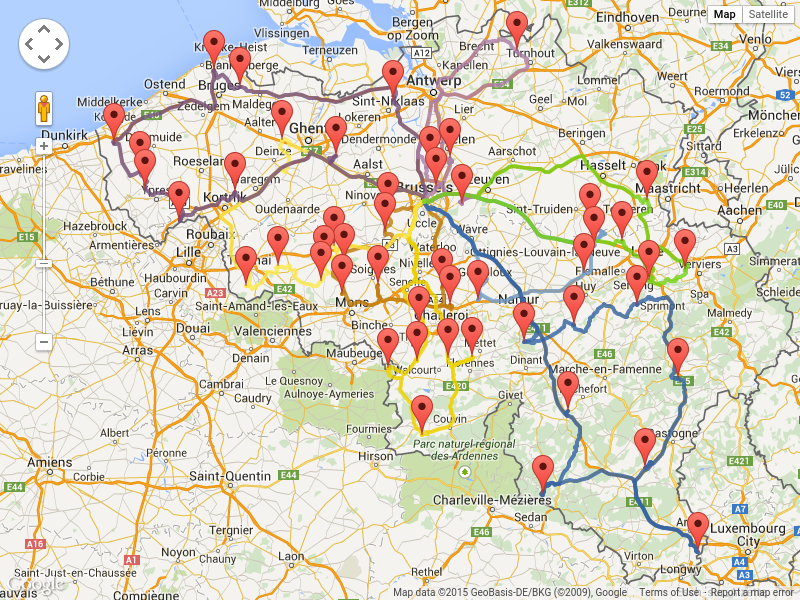 What is the Vehicle Routing Problem? 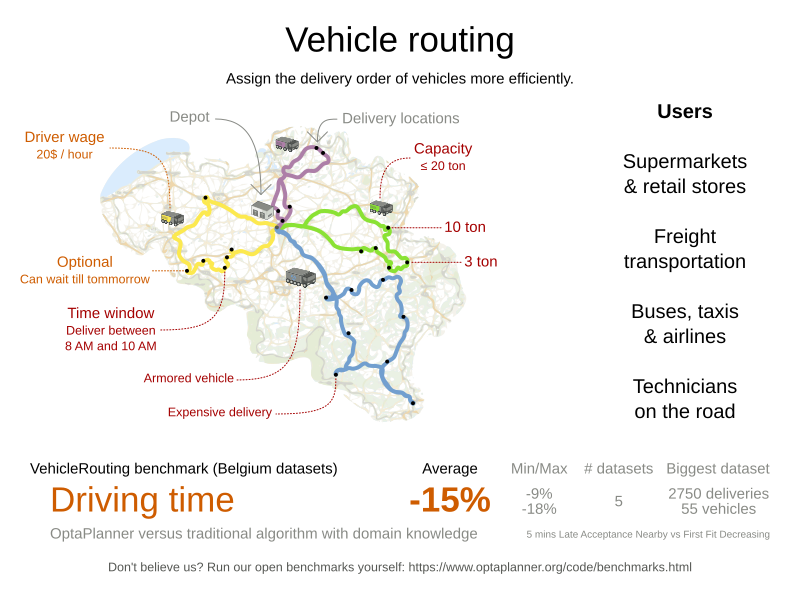 OptaPlanner scales out on the Vehicle Routing Problem thanks to incremental score calculation, nearby selection, shadow variables and - of course - advanced construction heuristics and metaheuristics.